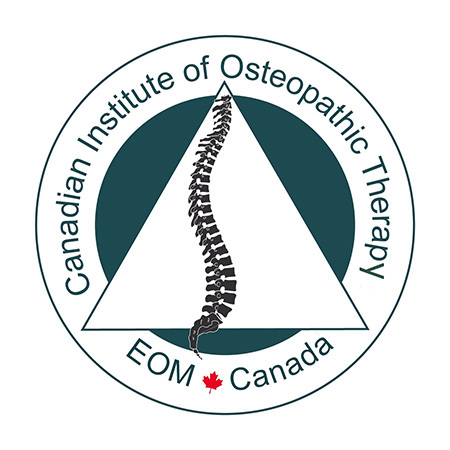 The Canadian Institute of Osteopathic Therapy offers Osteopathic training for health professionals with a 4-year related Health Degree, such as physiotherapists, kinesiologists, athletic therapists, sports therapists, nurses, doctors, and massage therapists. CIOT also offers a pre-course evaluation and examination to registered massage therapists with 2200hrs or more. Please contact us for further details. We follow the international standards recommended by the World Health Organization (WHO) according to the text published in November 2010 “Reference Points for Training in Osteopathy”, and adhere to the requirements set by the European Standard UNE-16686, December 2015 for teaching entities for the training and academic qualification of Osteopathy and Provision of Healthcare in Osteopathy. 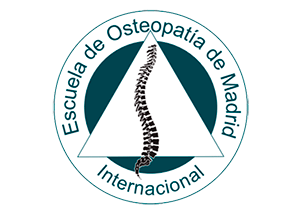 Our organization is associated with the School of Osteopathy of Madrid (EOM) which has been an example of academic excellence since its inception in 1989. Thanks to their considerable knowledge and expertise we are now able to offer, as the first branch in North America, the very finest of Osteopathic training and study. EOM aims to prepare students for future as Osteopathic Therapists in society through the development of their skills and the acquisition of knowledge, both theoretical and practical, and through close contact with other fellow professionals. Treatment for the sacroiliac and pubic dysfunctions. Scapular girdle I and II. Cervicothoracic junction and the 1St rib. Osteopathic treatment for lumbar disc prolapses and sciaticas. C5 – C6 and the rib cage. Integration of the osteopathic concepts. Sphenobasilar, temporal, occipital and parietal. Ethmoid, frontal, facial bones, palatine, unguis, vomer and bones of the nose. Heart, lung, kidney, bladder and lymphatic system. Jones´ technique and mechanosensitive points. British structural and functional techniques. Dejarnette´s Sacro Occipital Technique (SOT). Occipitocervical junction: occiput, atlas and axis. Fill the admission form to become a student of The Canadian Institute of Osteopathic Therapy. March 8, 2019 Osteopathic diagnosis and treatment of low back pain. October 25, 2018 What is the Difference between an Osteopath and a Chiropractor?